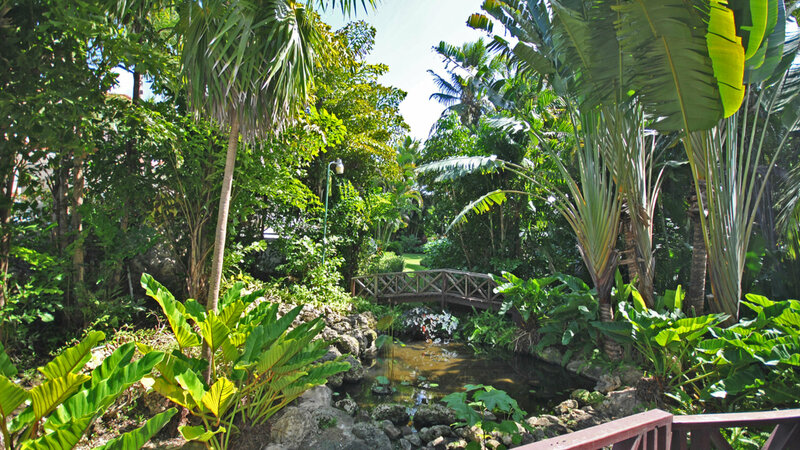 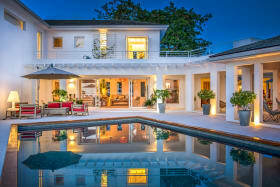 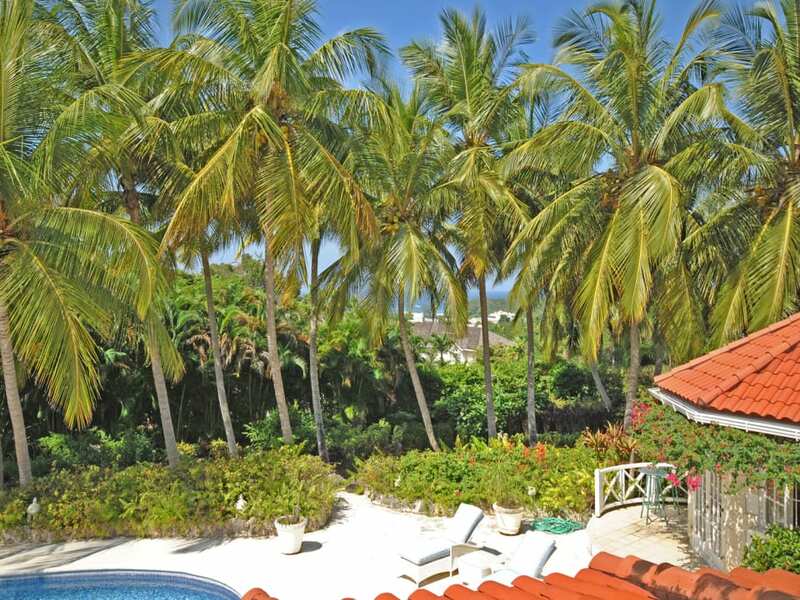 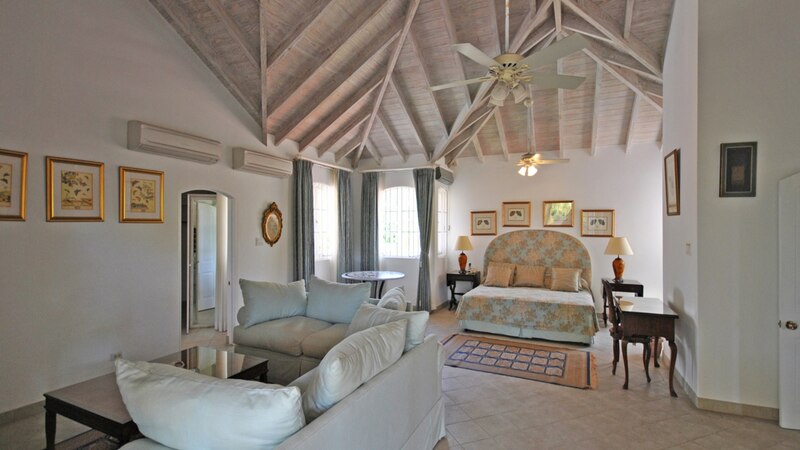 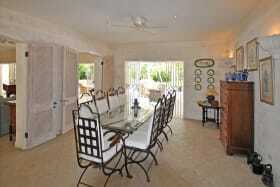 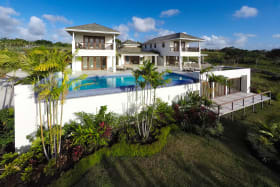 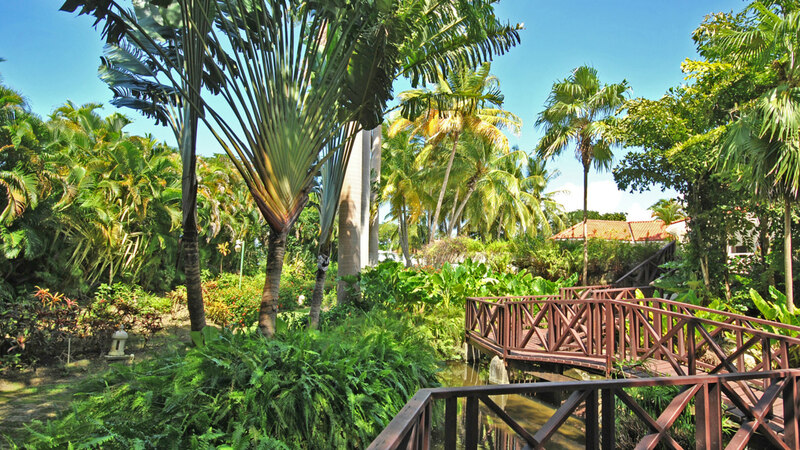 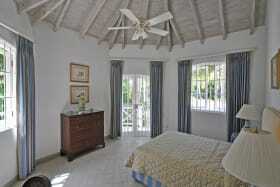 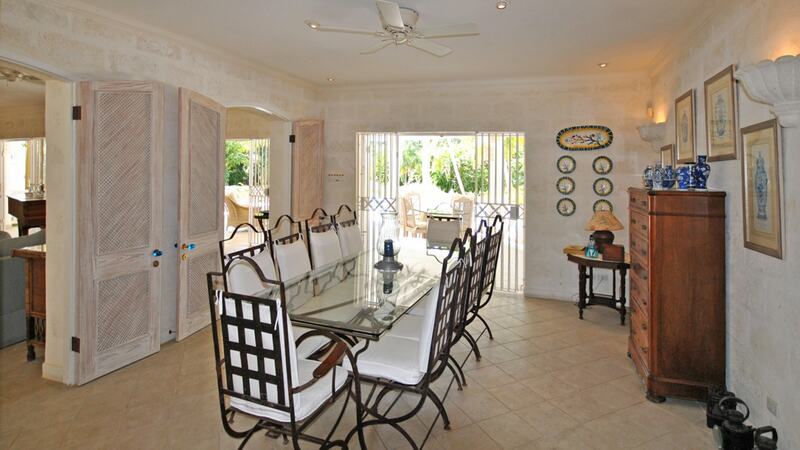 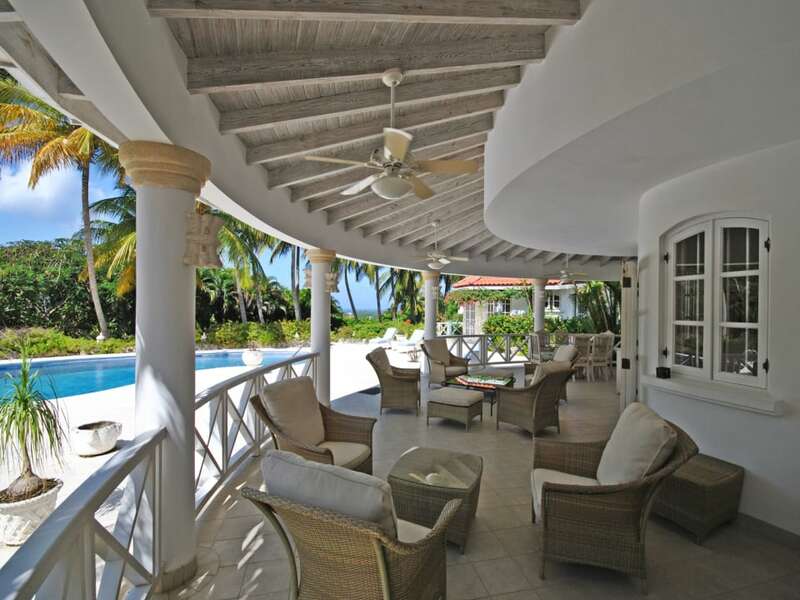 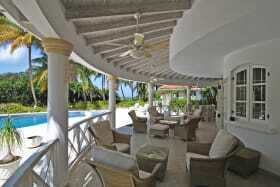 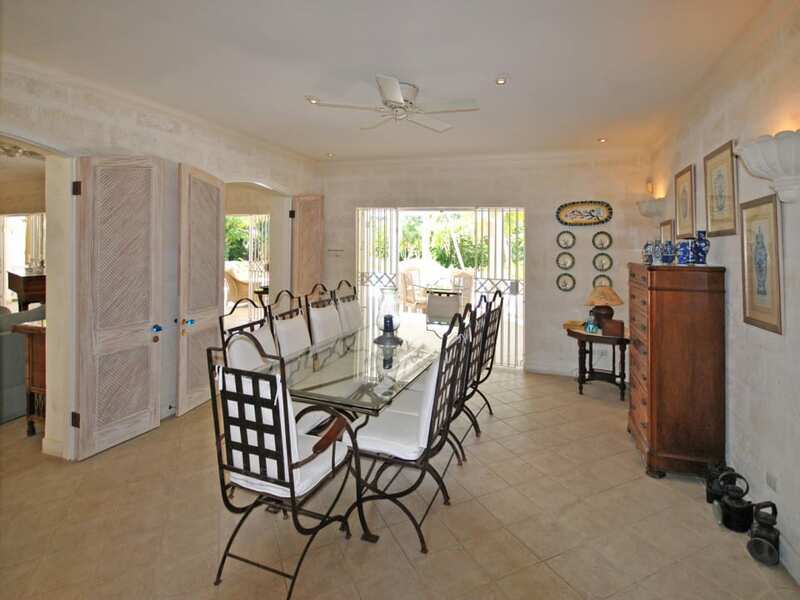 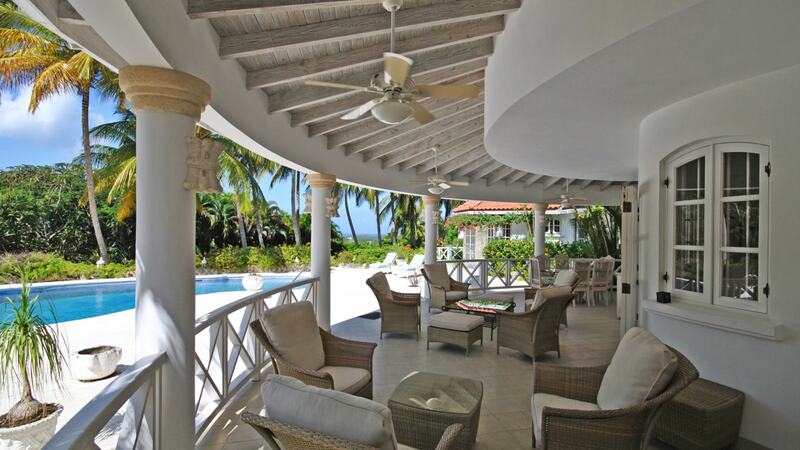 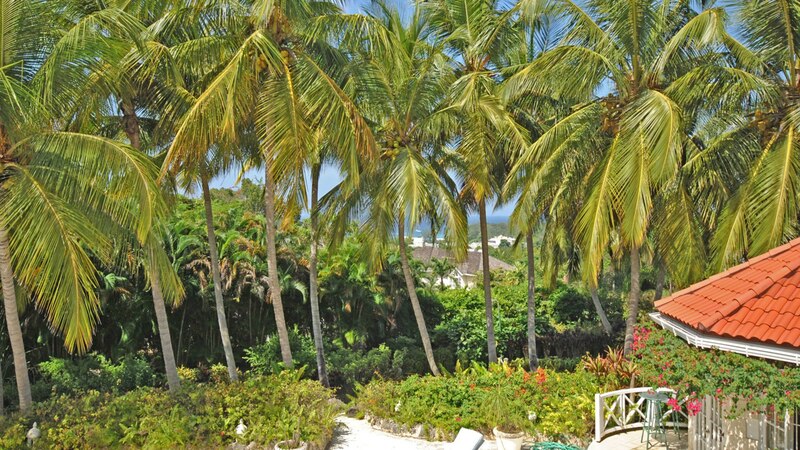 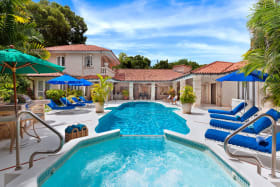 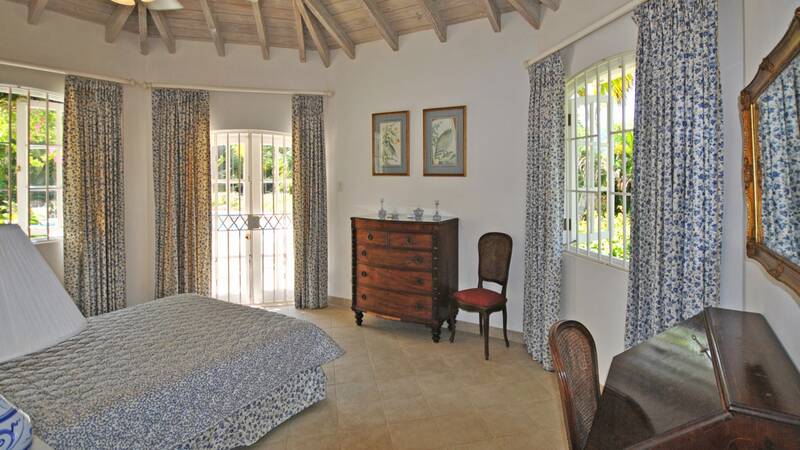 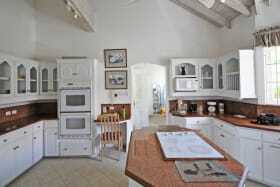 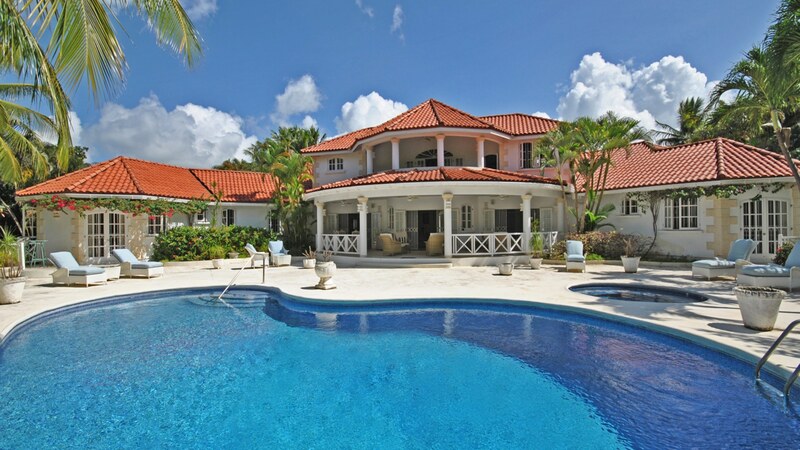 Elegant 5 bedroom 5.5 bathroom villa in Barbados’ prestigious Sandy Lane Estate. 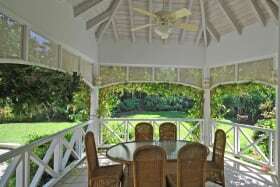 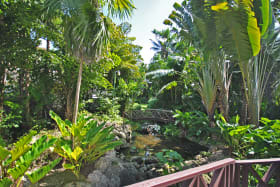 Large terrace and pool deck - beautiful gardens. 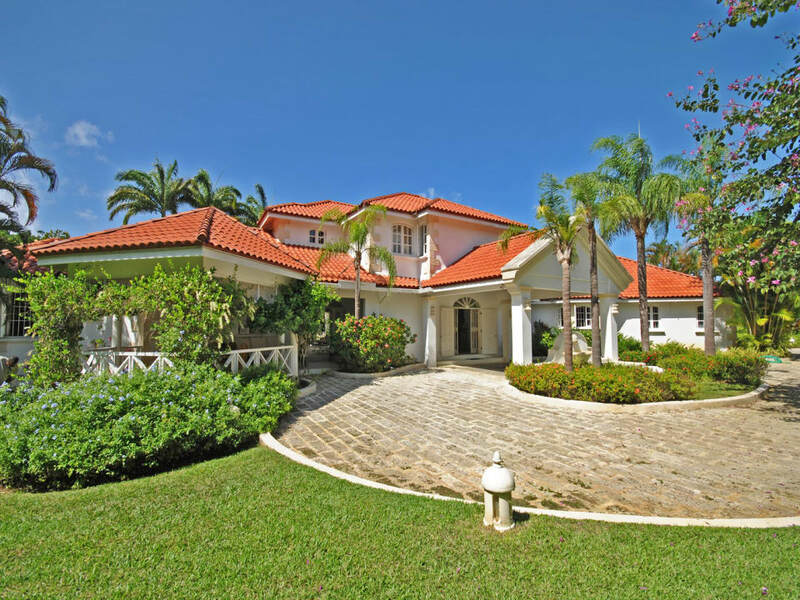 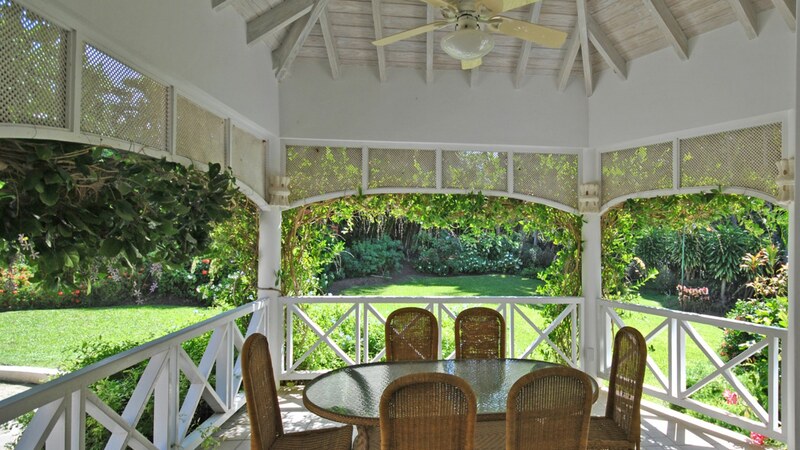 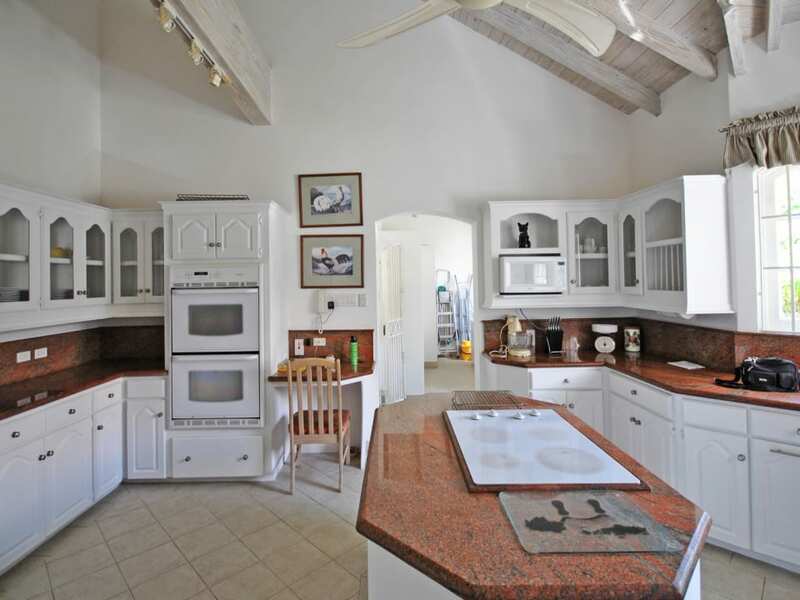 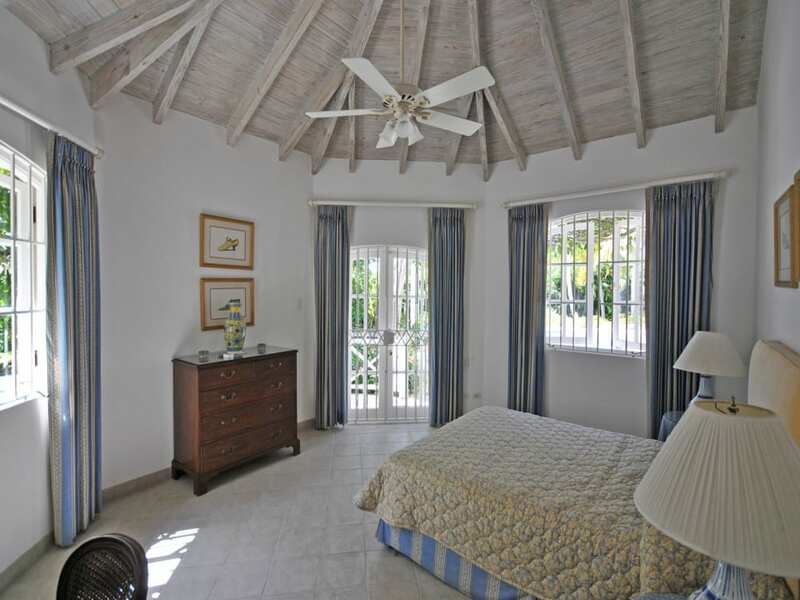 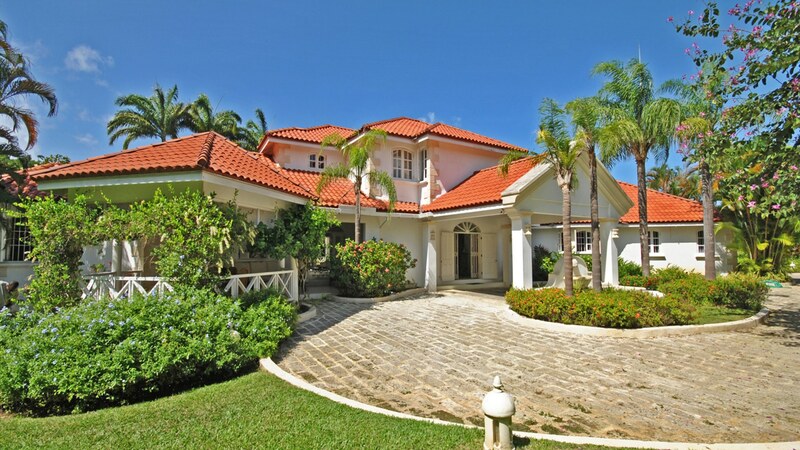 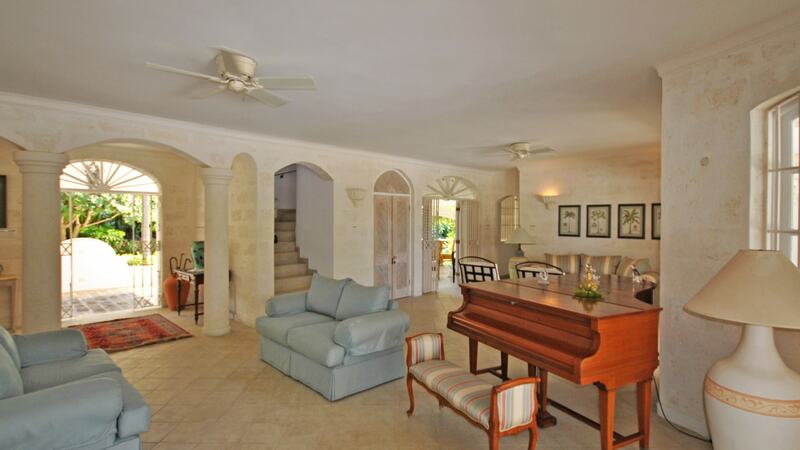 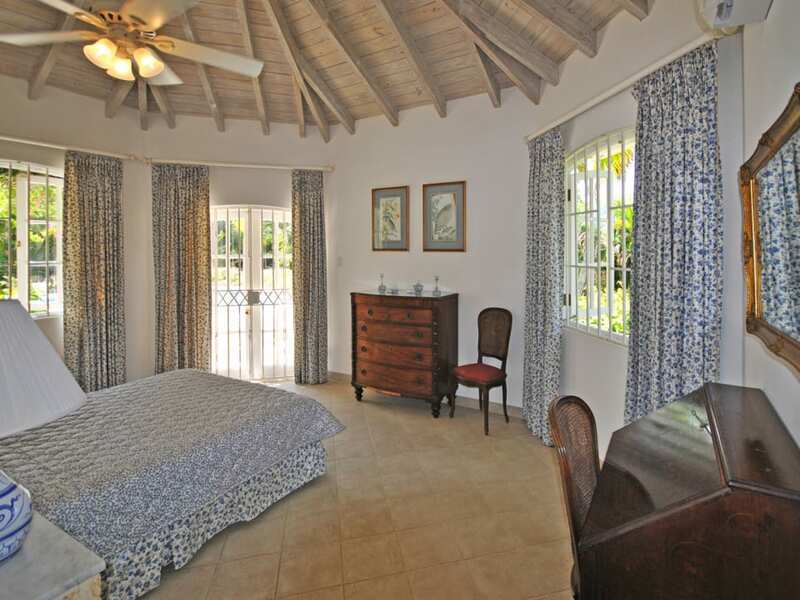 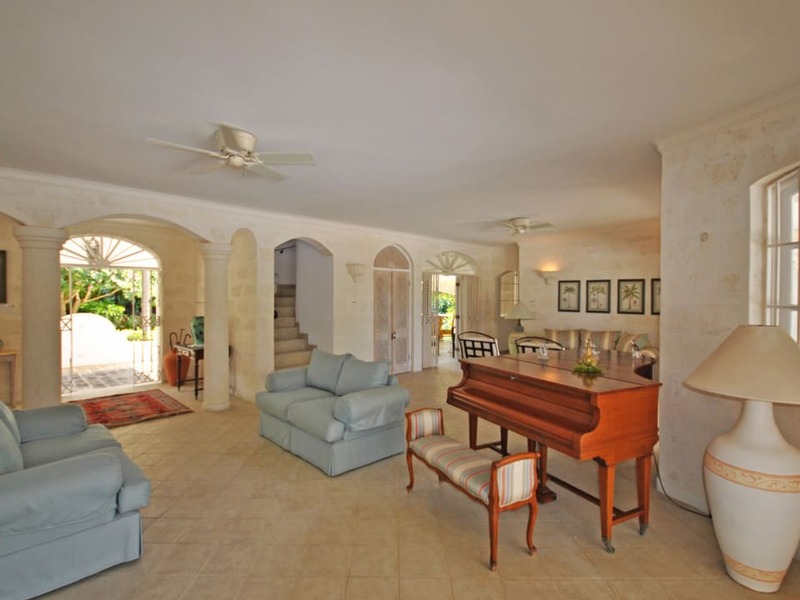 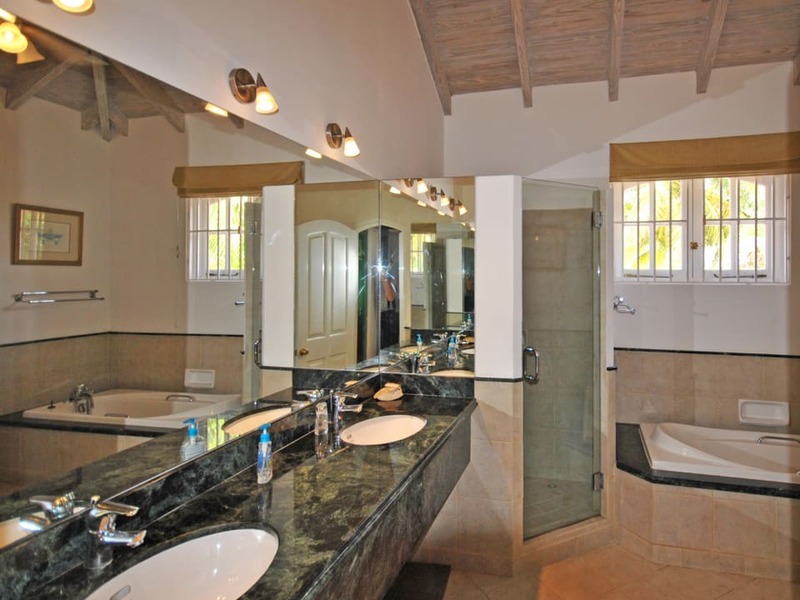 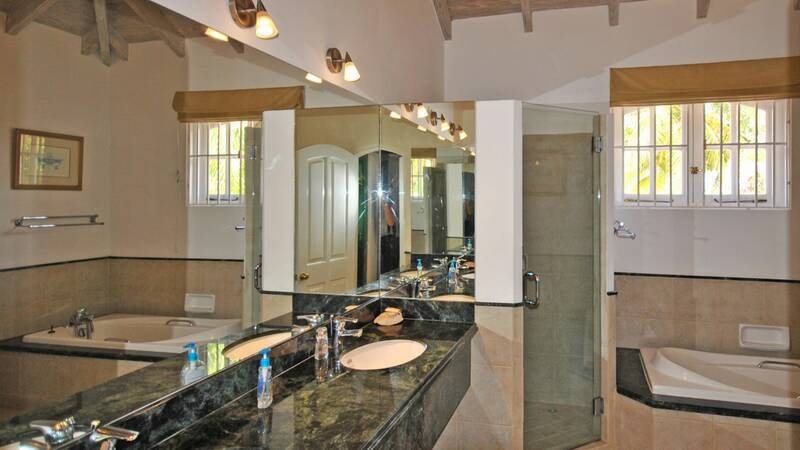 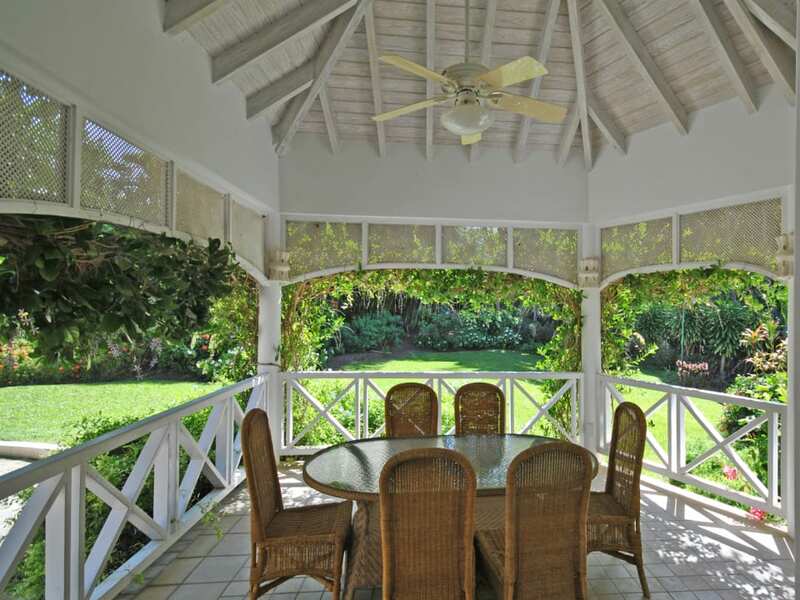 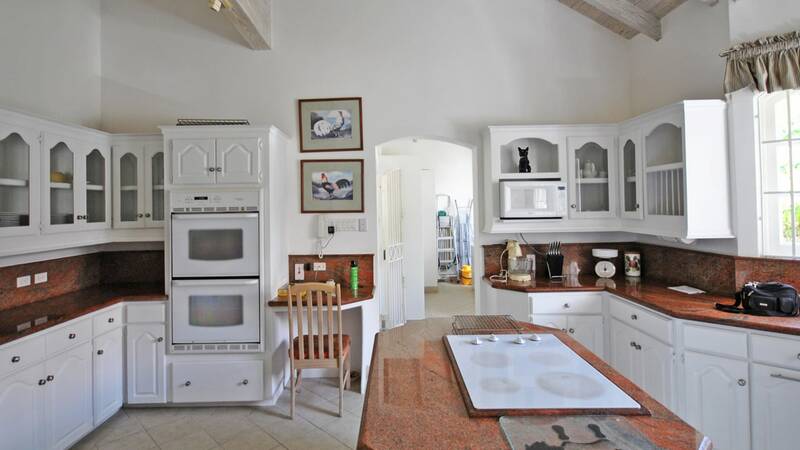 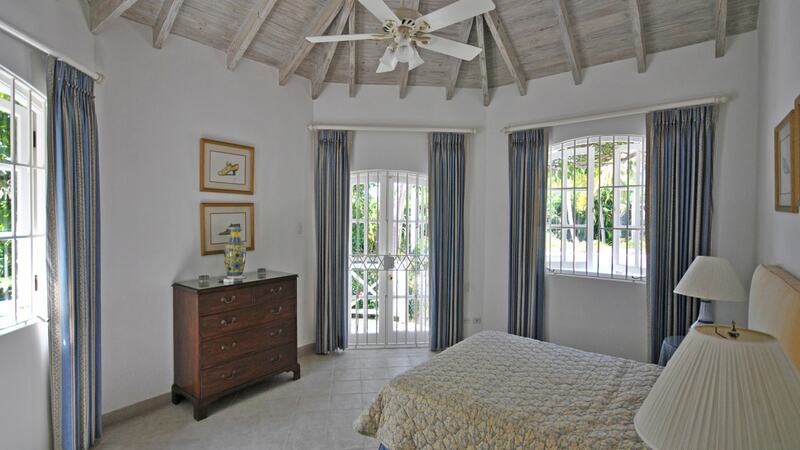 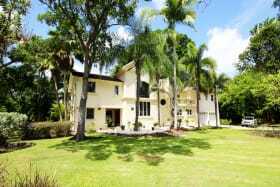 Elegant 5 bedroom 5.5 bathroom residence in Barbados' prestigious Sandy Lane Estate. 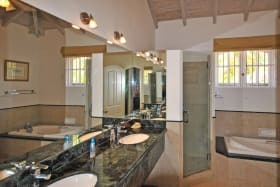 This beautiful Barabados Villa features high quality finishes throughout with porcelain tiled floors, modern kitchen and bathrooms with granite countertops. 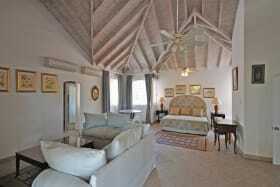 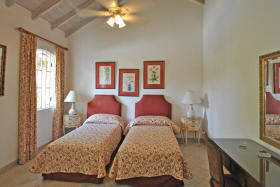 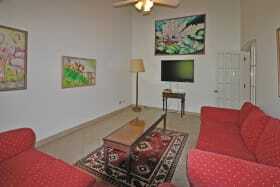 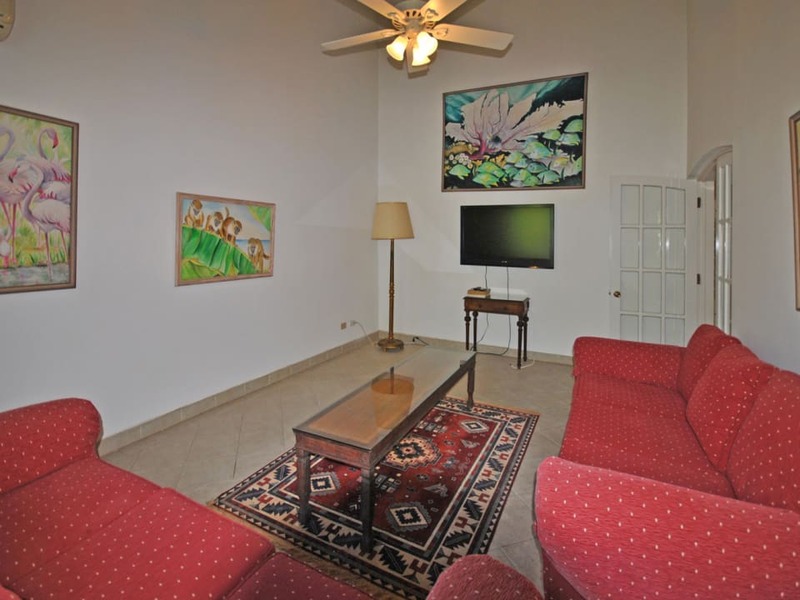 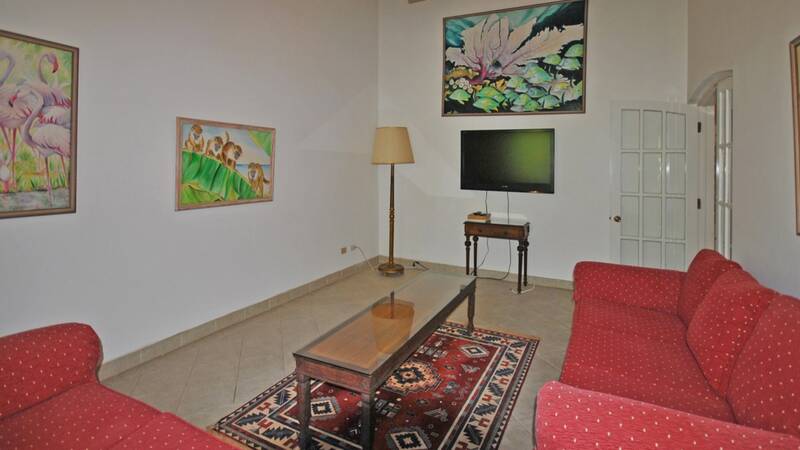 All bedrooms are air-conditioned and all rooms have ceiling fans. 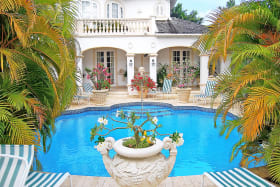 Four bedroom suites and the family room are located on the main floor along with the spacious open-plan living and dining areas which lead on to the large covered terrace, the open air pool deck and the wonderful gardens and gazebo beyond. 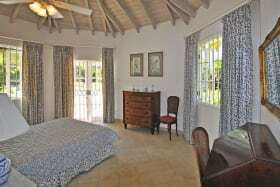 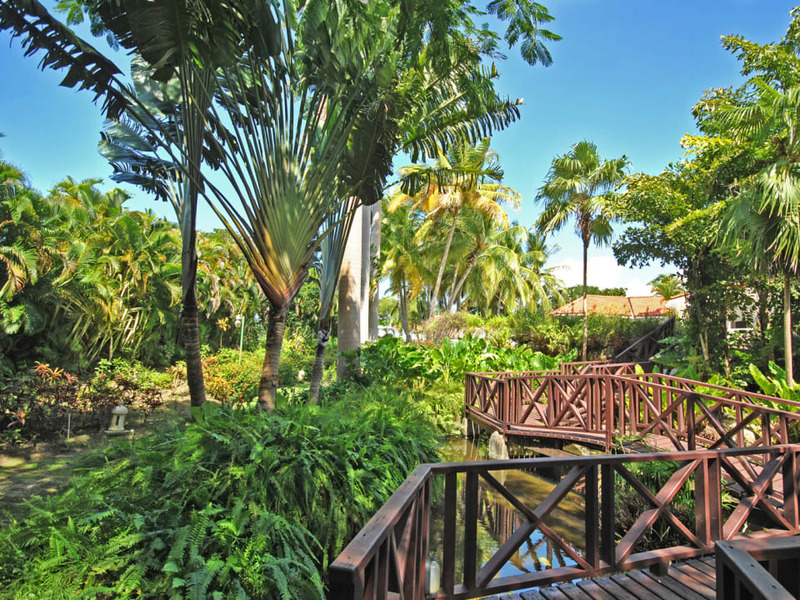 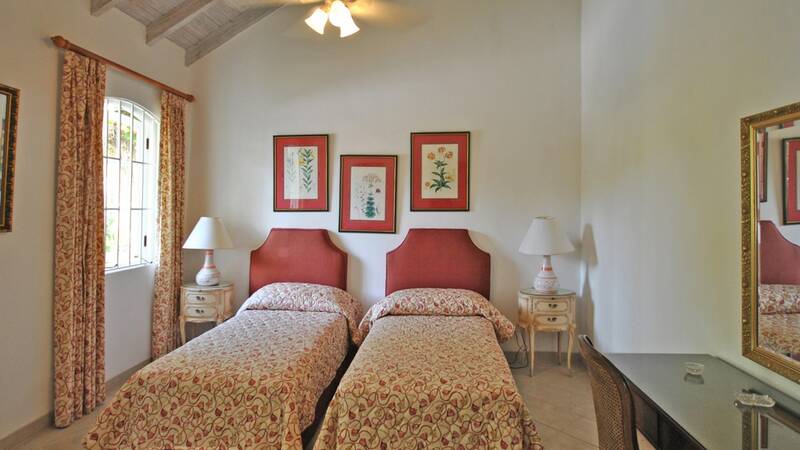 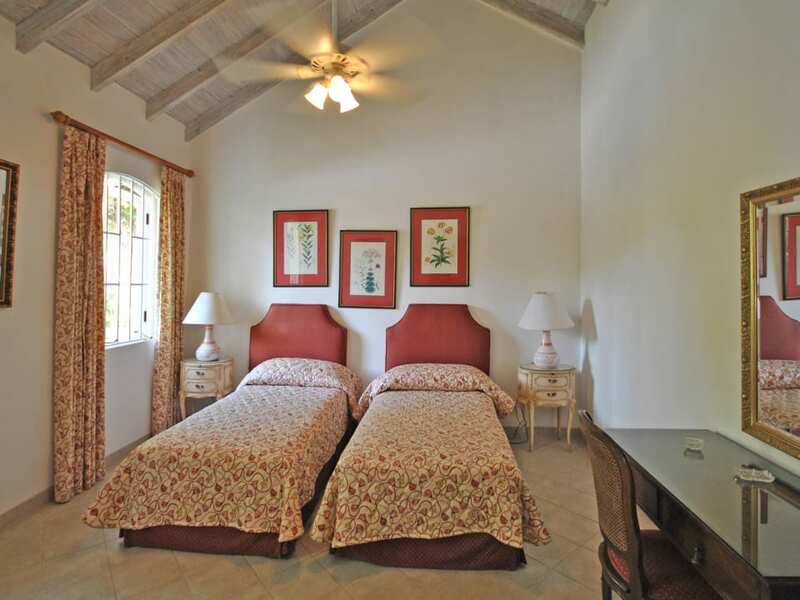 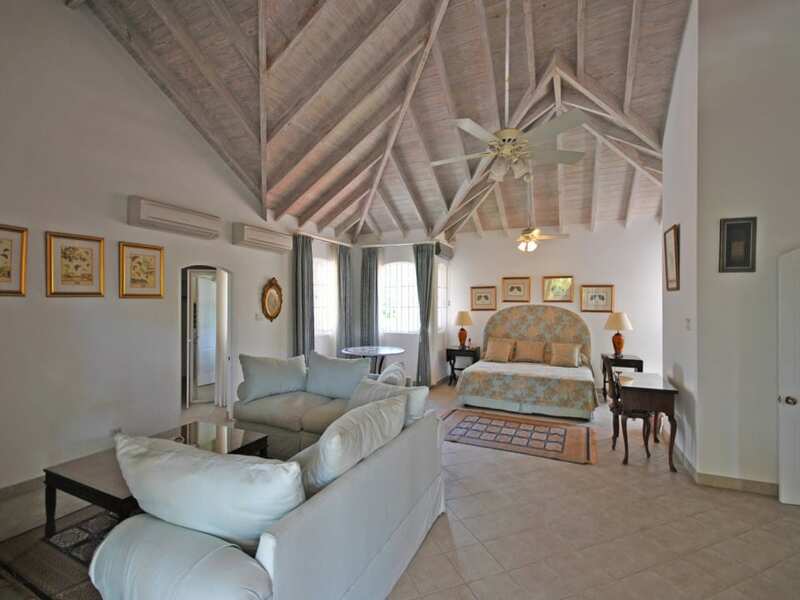 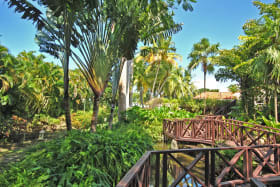 The luxurious master suite and study are located on the upper level and have their own private patio with beautiful views of the Caribbean sea. 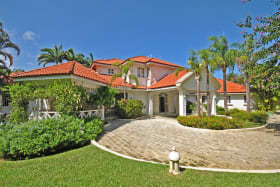 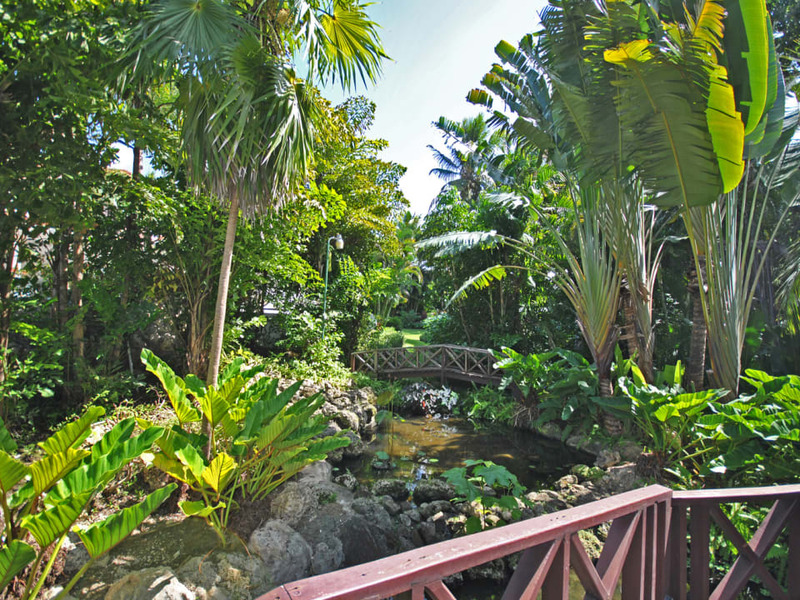 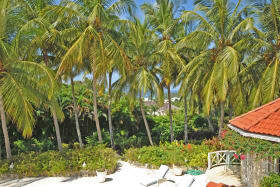 Owners are entitled to the use of the Sandy Lane Property Owners Beach Facility.